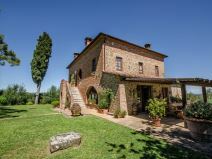 Ancient stone and brick villa placed on a panoramic hill. 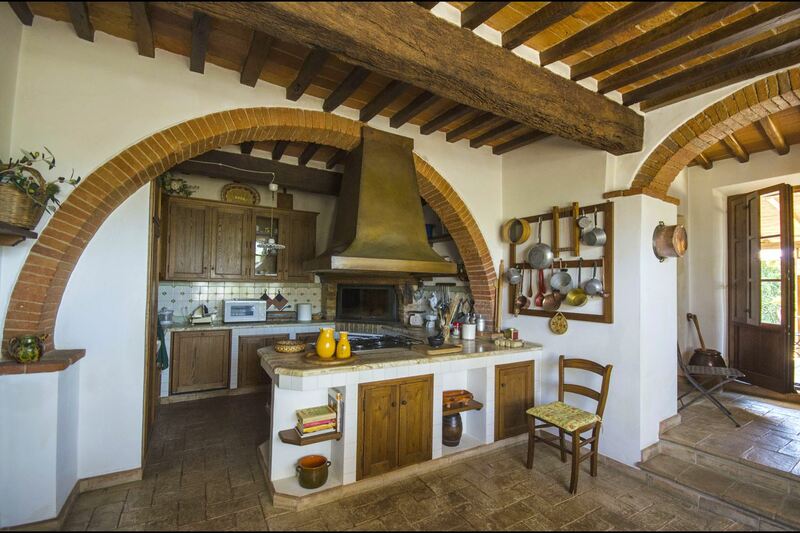 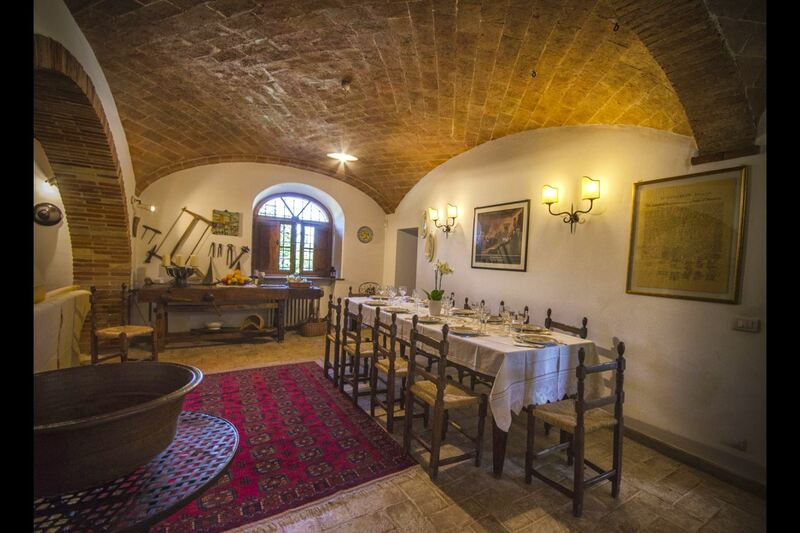 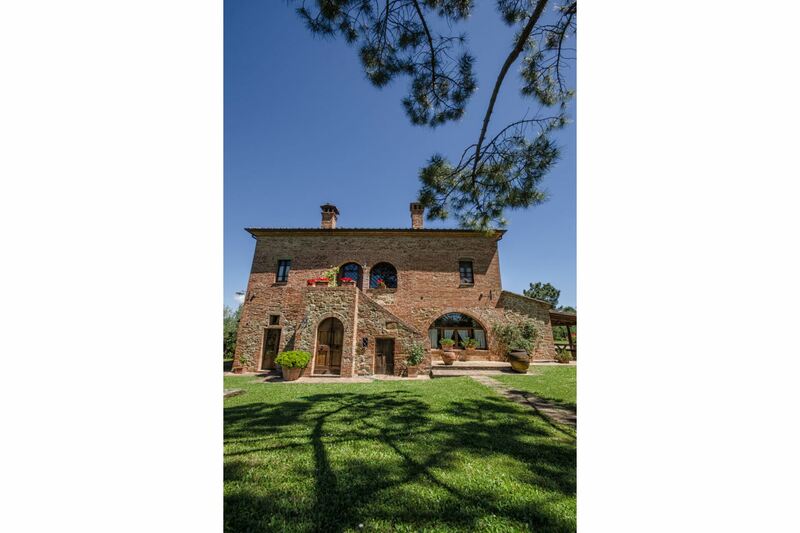 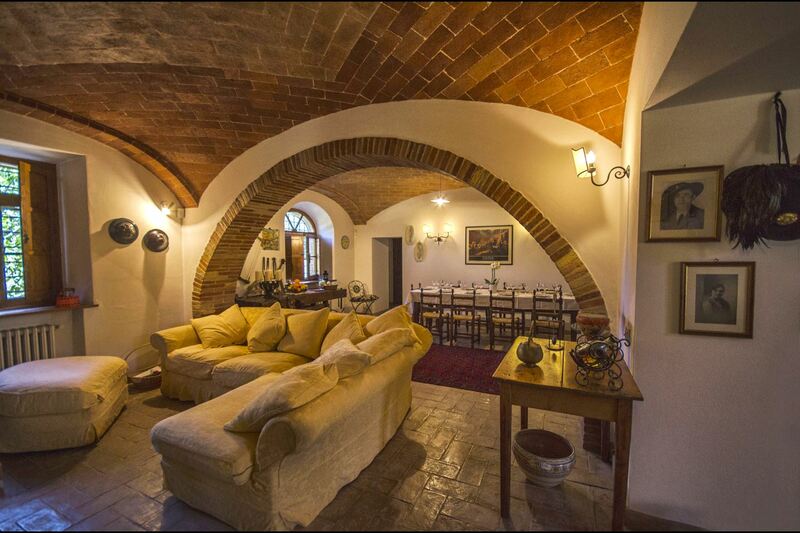 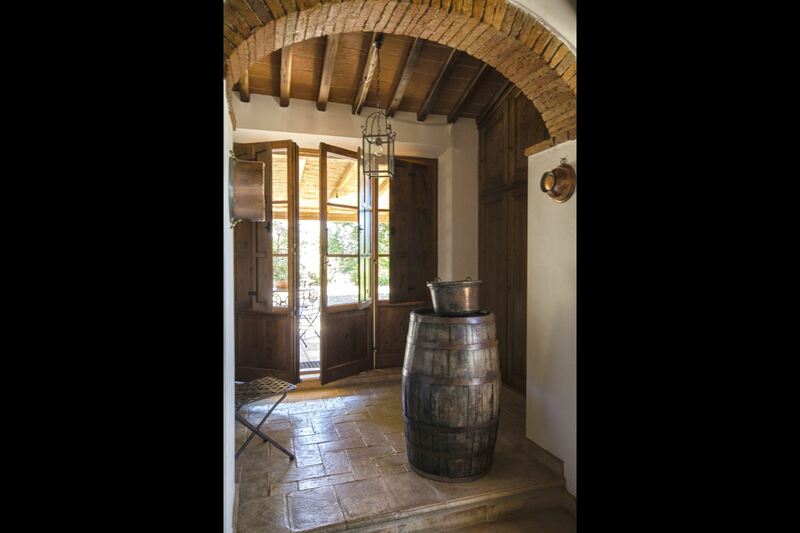 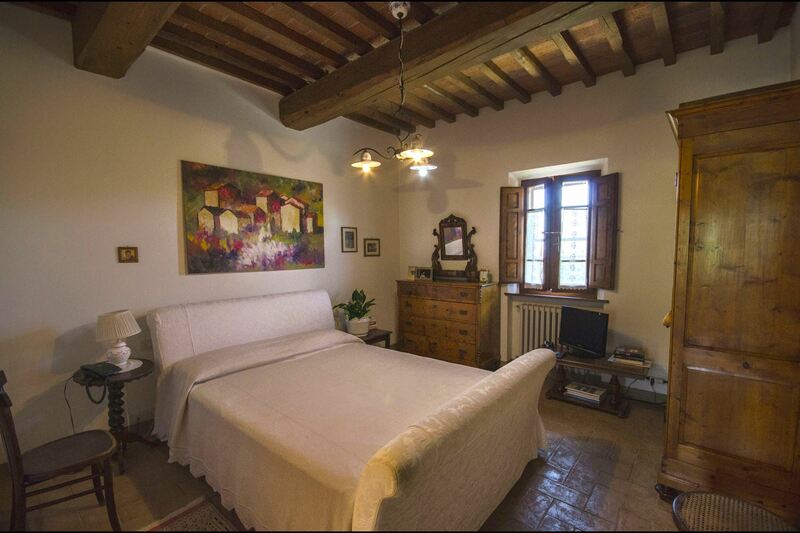 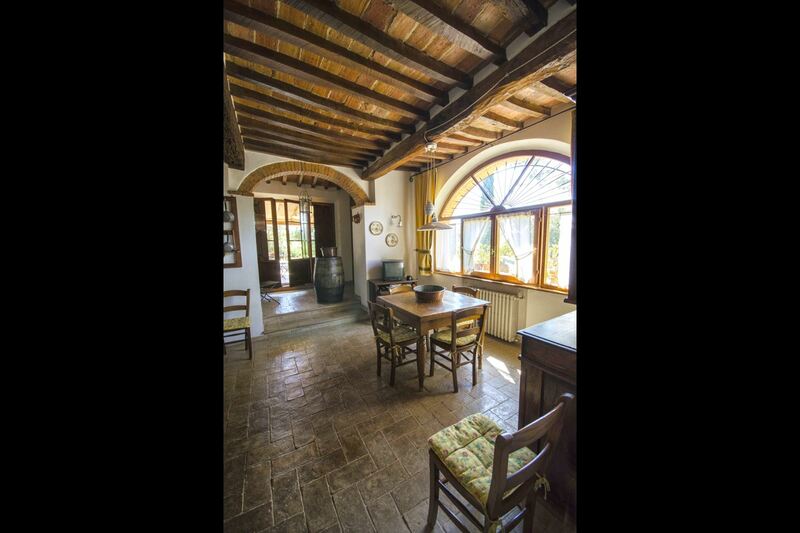 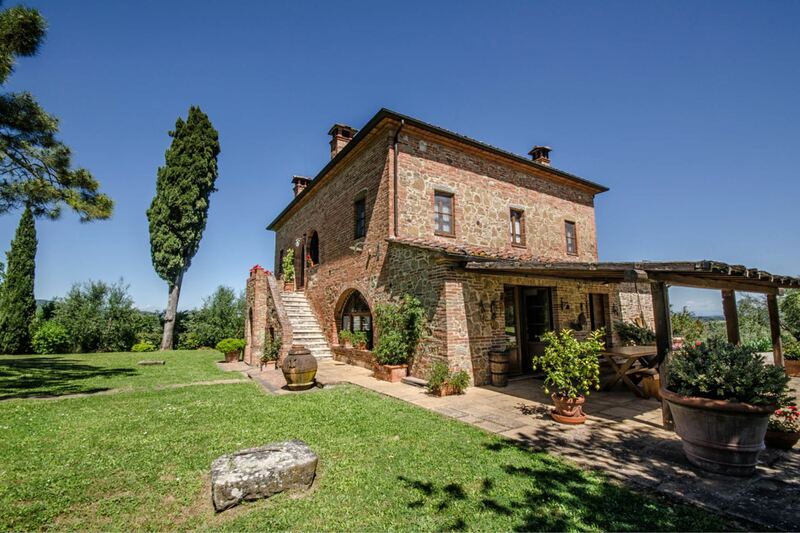 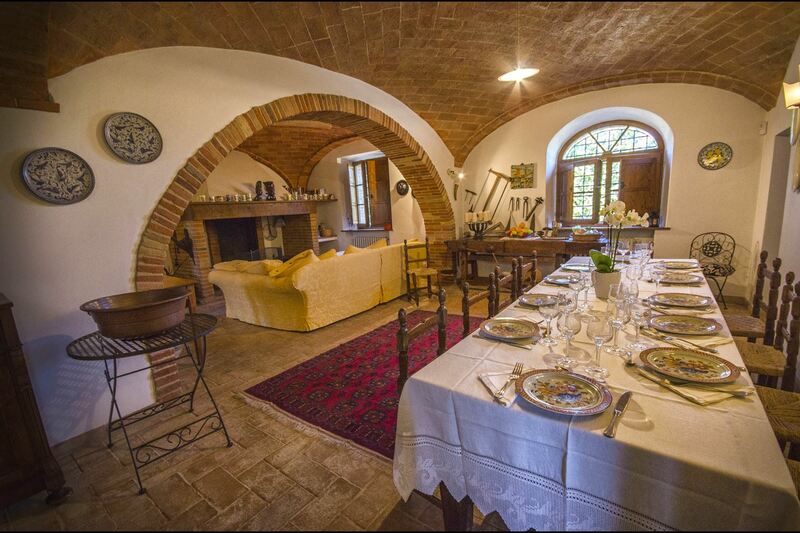 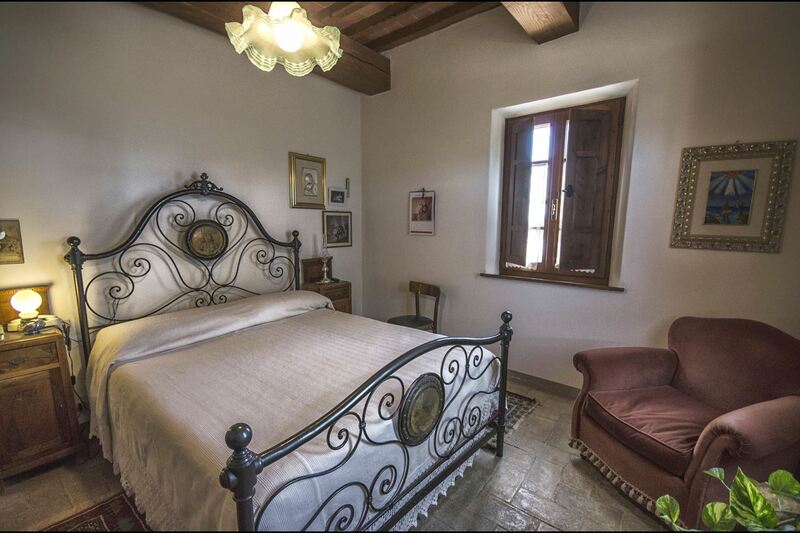 Beautiful stone and brick villa which origins are dated back to 1300 and preserves its original structure with 'Cotto' floors and brick arches. 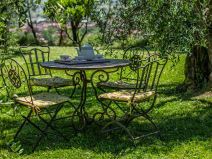 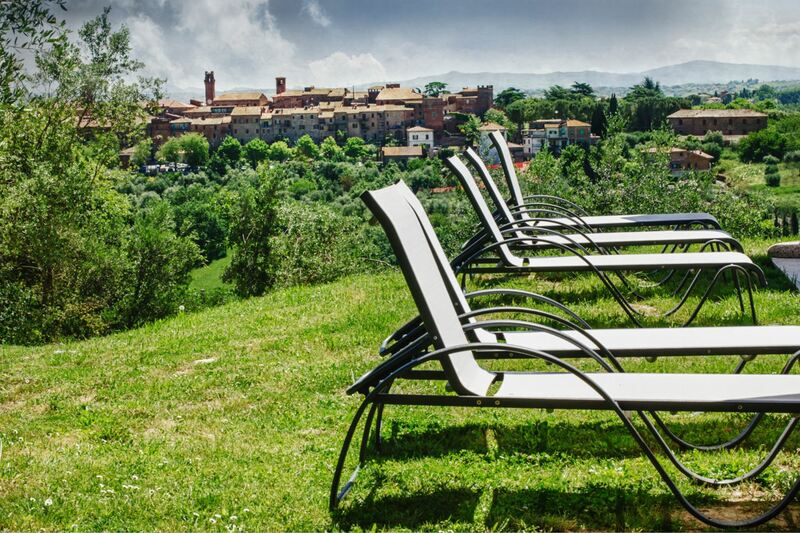 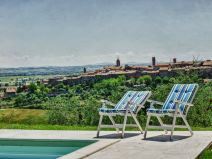 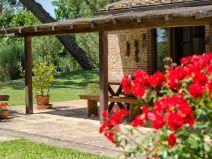 The villa being on a hill and panoramic position allows full relax and enjoy the harmony and quietness of Tuscan landscape. 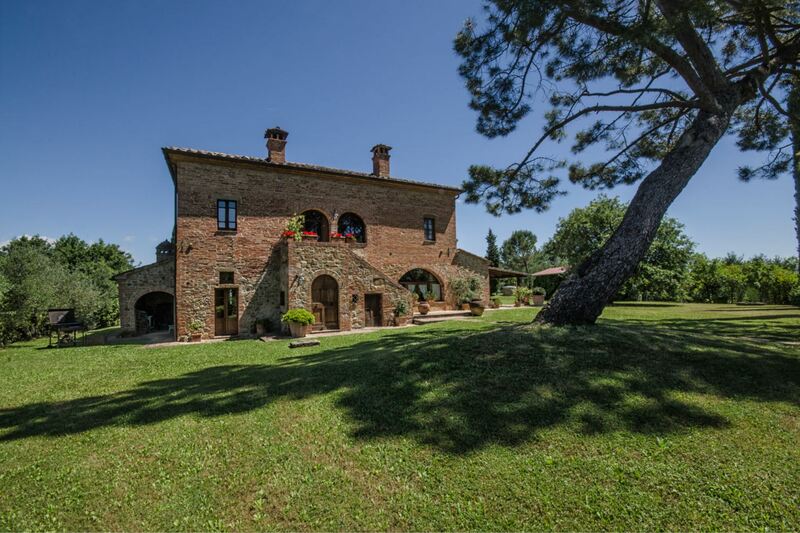 A few minutes driving from Torrita di Siena, Montepulciano and Montefollonico. 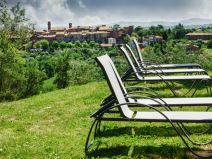 Only 1,5 km away there is the village of Torrita di Siena, characteristic Medieval town, endowed with shops, restaurants and all kind of facilities. 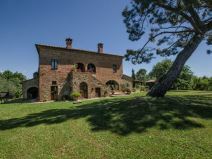 For those who love walking, the village can be also reached on foot. 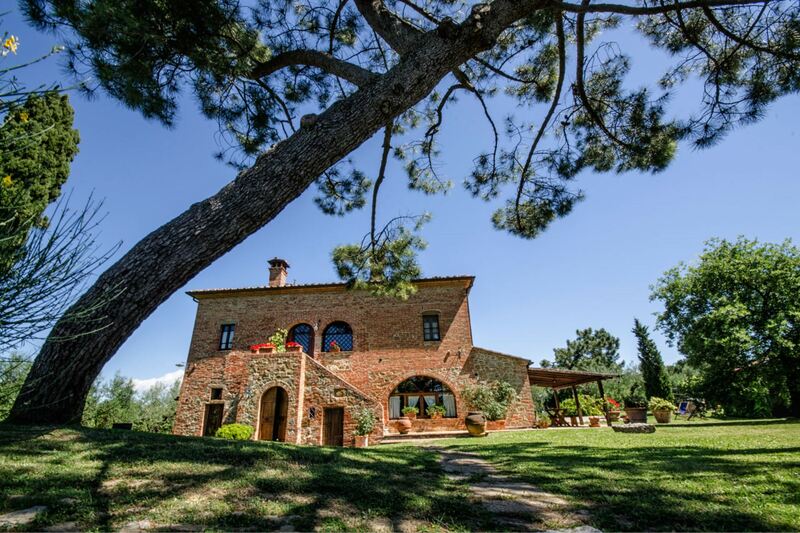 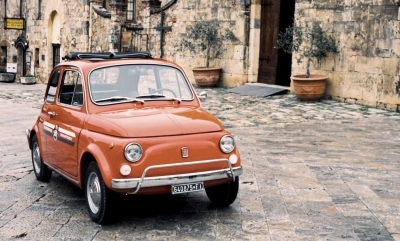 Within a short driving you can reach the beautiful villages of Montefollonico (10 km) and Montepulciano (12 km) which are worth a visit to taste the typical dishes and the renowned wines such as 'Nobile di Montepulciano'. 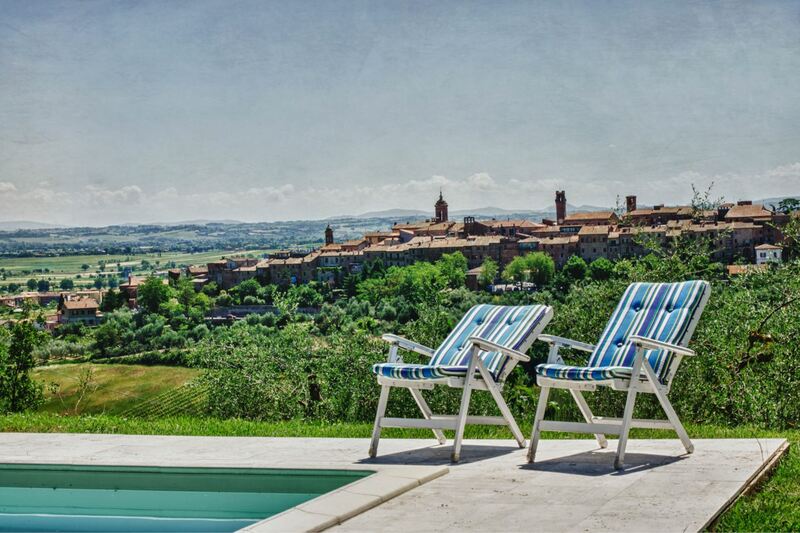 Pool and garden among olives and vineyards. 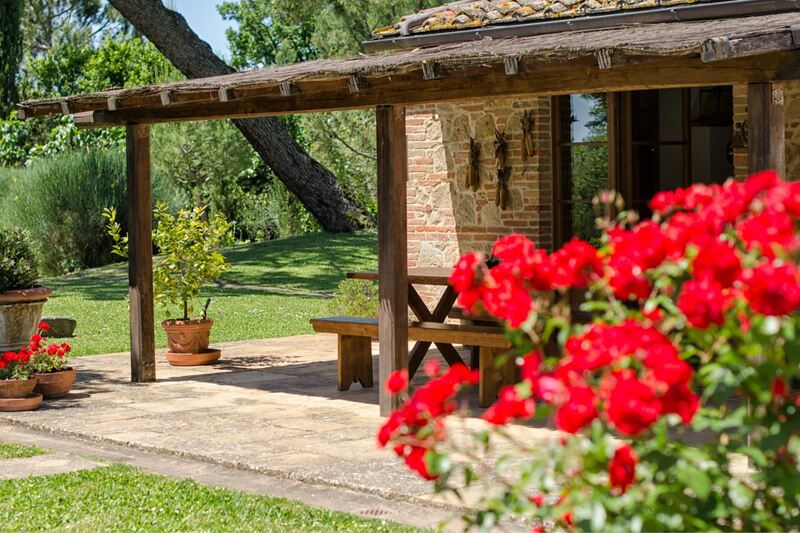 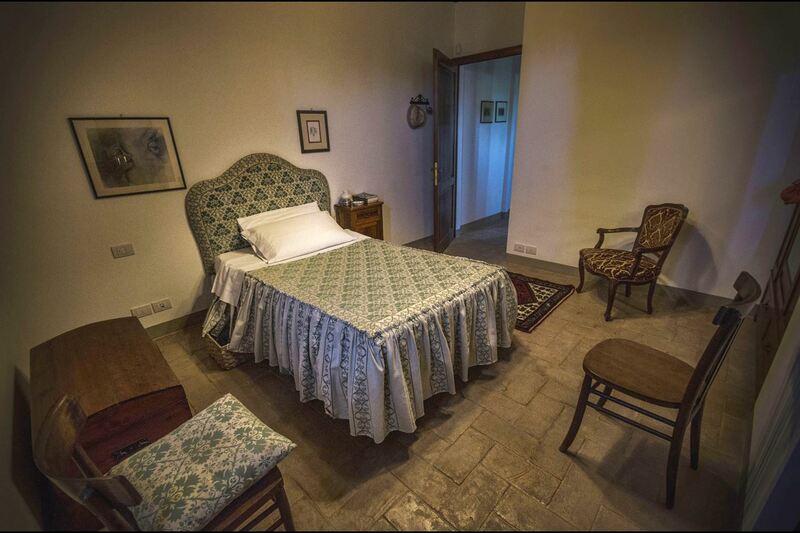 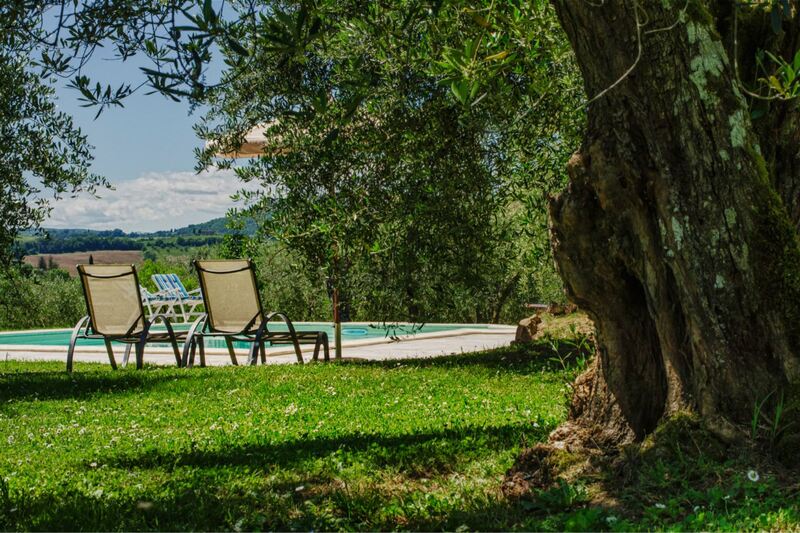 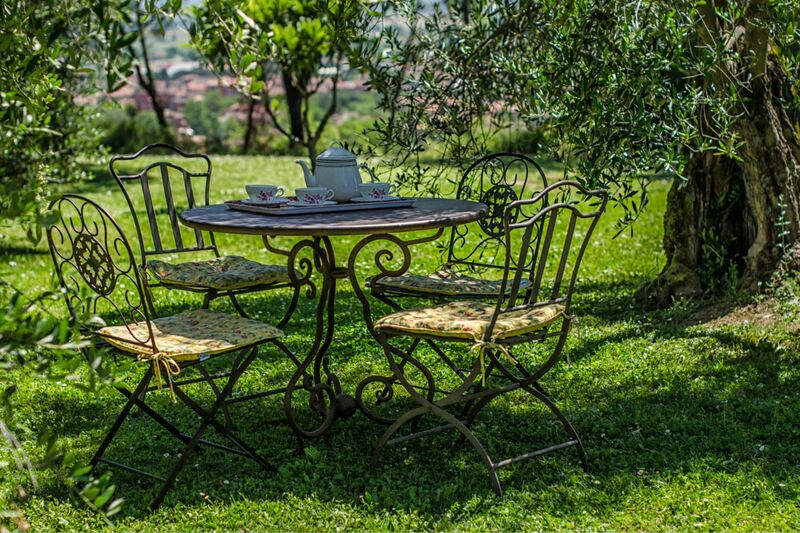 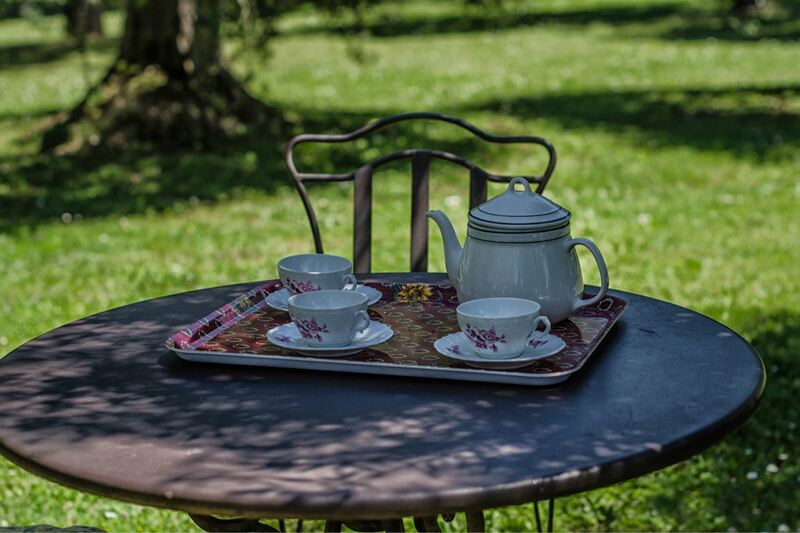 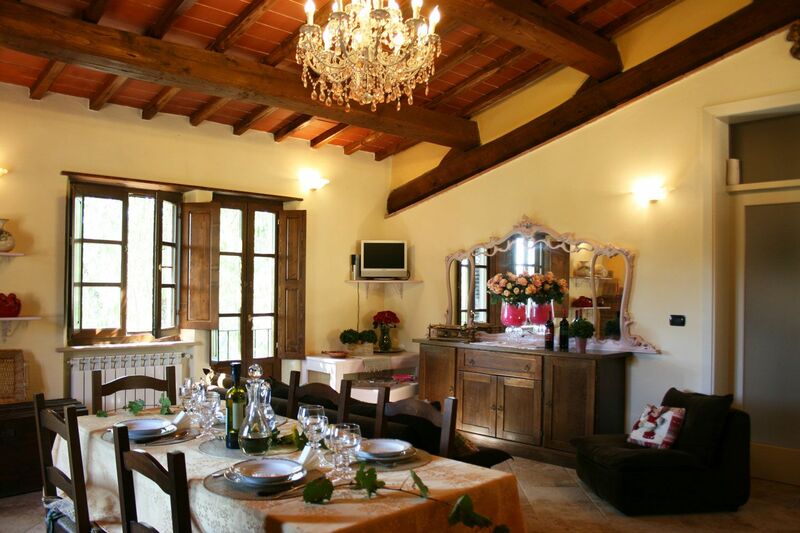 Villa Scianellone is surrounded by luxuriant olive groves, vineyards and meadows which are part of the property. 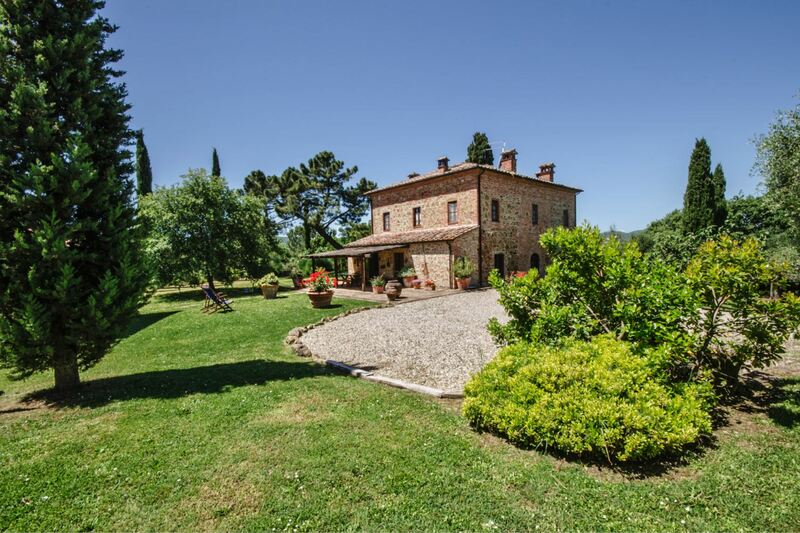 All around it a wide garden (approx. 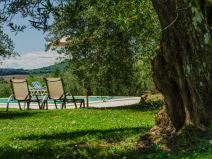 5000 m2) where you can find a fresh pinewood equipped with children playground and a lovely swimming pool (size mt. 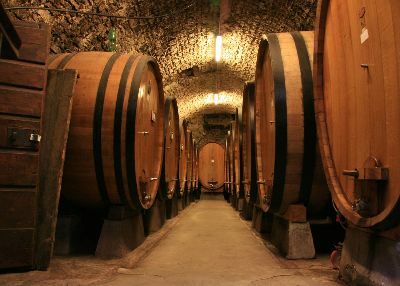 5x10 - depth mt. 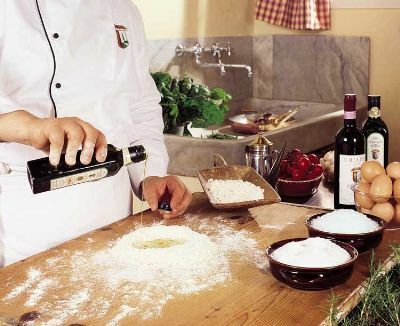 1,20-1,80). 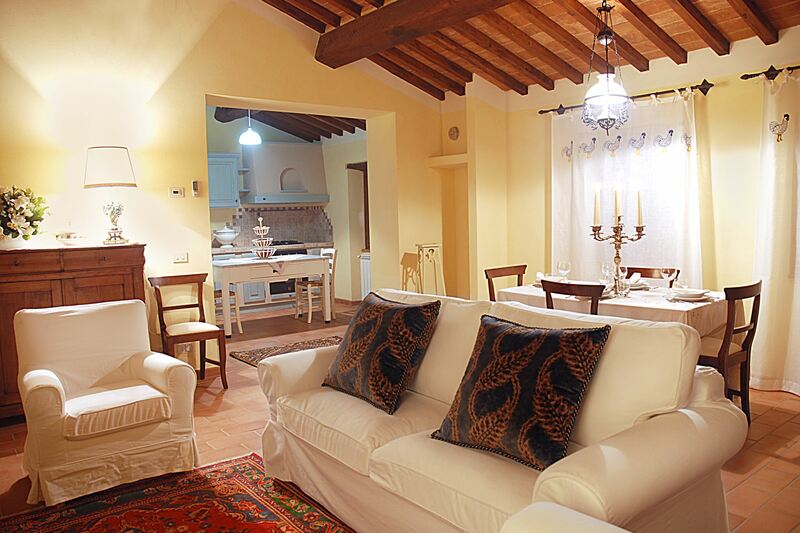 Furnishing is of good quality and there are all comforts to guarantee a nice and pleasant stay. 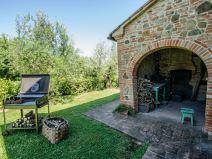 GROUND FLOOR: from the porch equipped with table and chairs to eat outside on get access to the kitchen with fireplace, large sitting room with fireplace and sofa, dining room, bathroom with shower, laundry room. 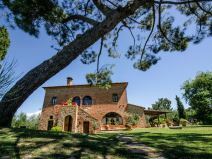 FIRST FLOOR: with access both via internal or external staircase, sitting room with fireplace and tv, two double bedrooms with en-suite bathroom with shower, two double bedrooms one of which with fireplace, bathroom with shower and bath. 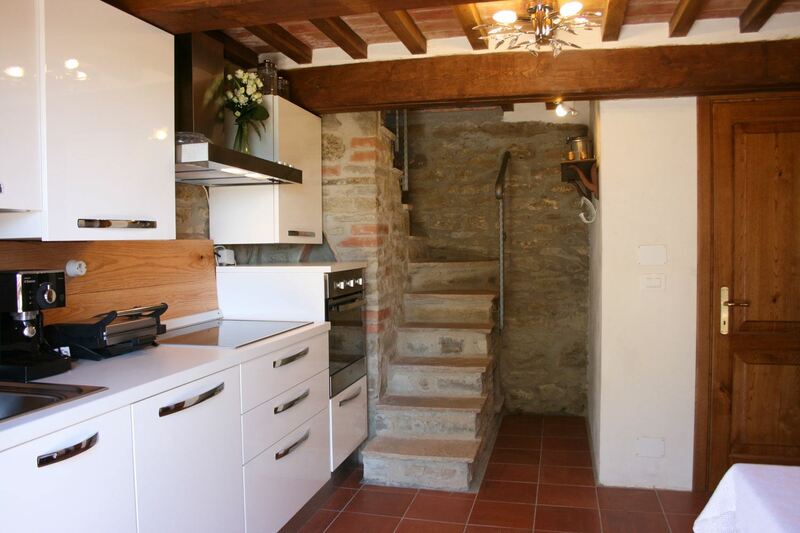 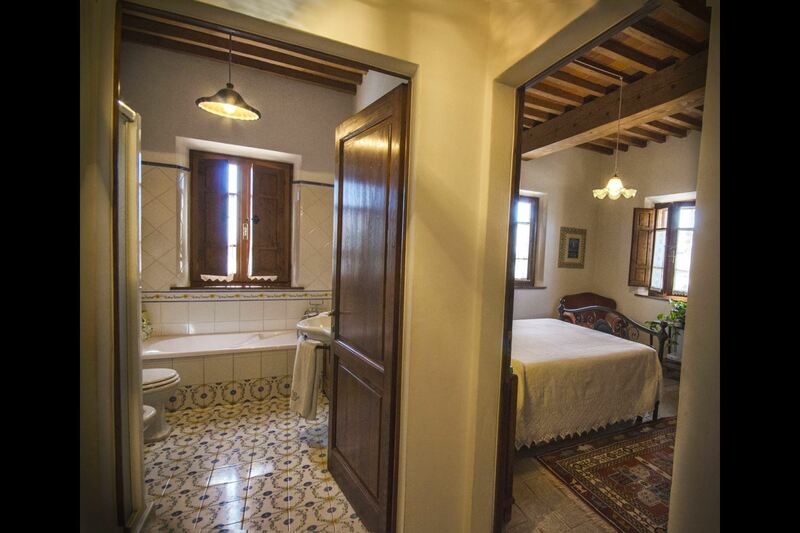 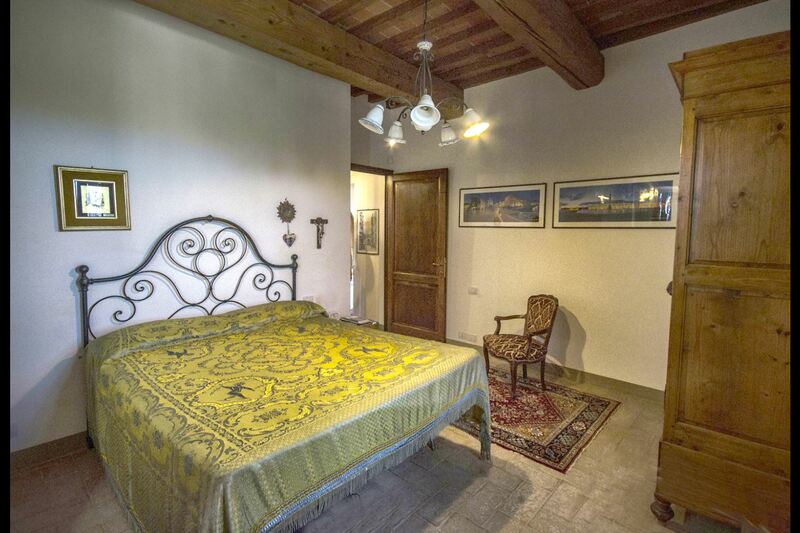 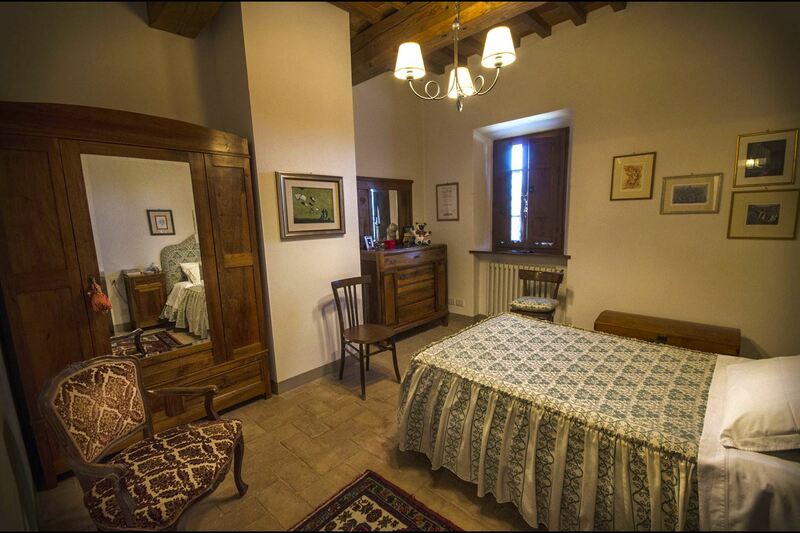 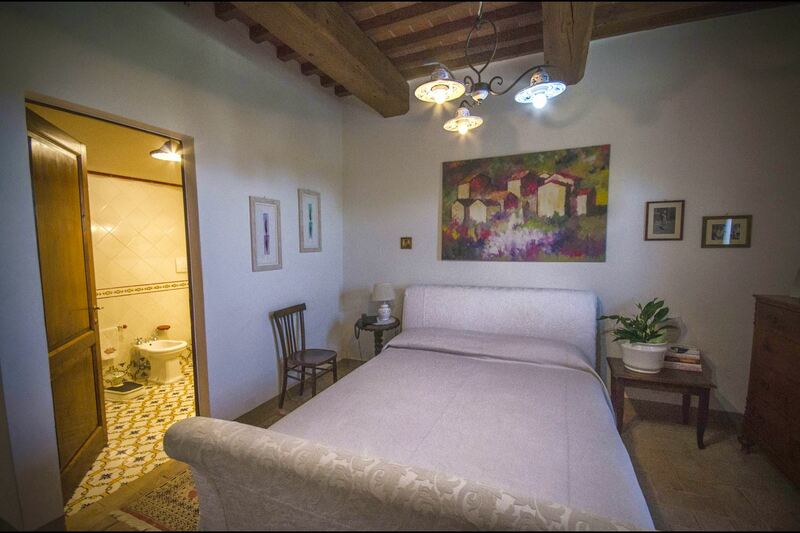 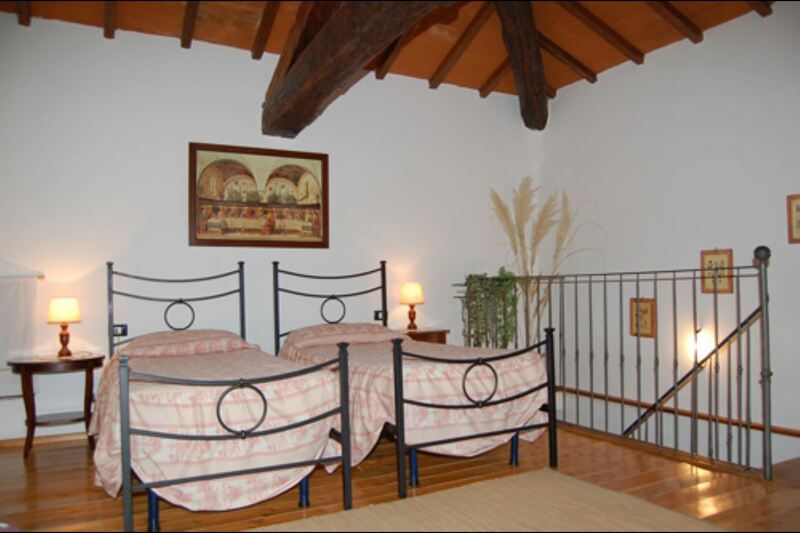 ATTIC: (high 1,20 m. – 1,80 m.) with access via internal wood staircase, twin bedroom, single bedroom, bathroom with shower. 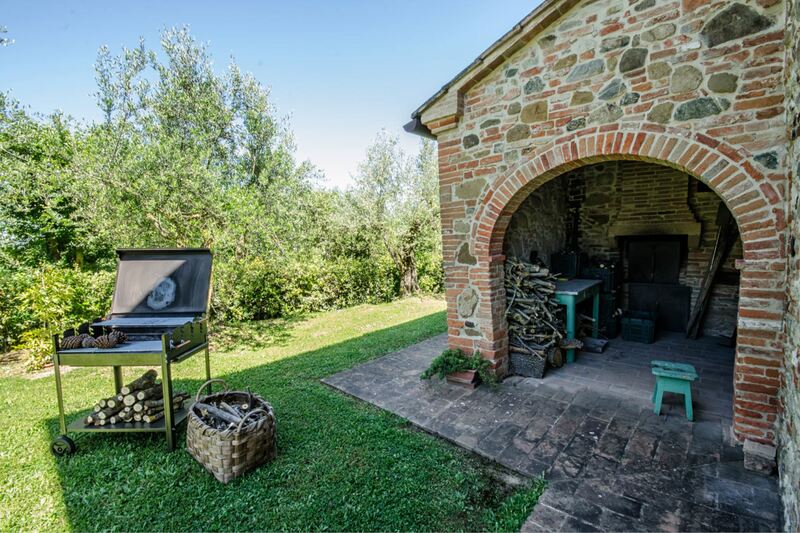 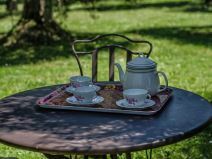 EQUIPMENT: oven, dishwasher, washing machine, microwave, freezer, toaster, fruit squeezer, filter coffee machine, hair-dryer, iron and ironing board, satellite TV, Wi-Fi Internet access, fly screens.